Happy New Year From SwiftPOS. What a year 2018 was! We here at SwiftPOS hope that you had a successful and profitable 2018. A new year a new POS, Get the best with SwiftPOS. With no reports of serious hiccups across our clubs, hotels and bars throughout the busy holiday season, we would like to thank our team of resellers for their 24/7 support to our customers. We hope that all our customers had a successful holiday season. With the end of the silly season here, it is never a better time to take stock and assess your businesses operations. 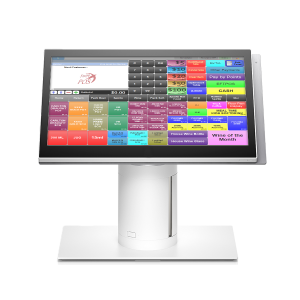 Considering a new POS system should be on top of your list. SwiftPOS is the renowned in the hospitality industry for delivering a feature filled POS system. The successful launch of Version 7 in 2018, saw us continue to push the boundaries of what a POS can do for a venue. This push will continue into 2019, with launch of Version 8. Keep an eye out for when that is released. We are continuing to improve our product, designing better, intuitive and innovative features. With over 100 third party integration applications, SwiftPOS is committed to leading the way in 2019. Businesses around Australia are catching on to what SwiftPOS can bring to their level of customer service and efficiency. By delivering a quick and easy interface with seamless integration features, SwiftPOS helps you do business better in 2019. To learn more about how SwiftPOS is the POS solution for any sized hospitality venue please get in contact with us here. We hope 2019 brings you all the success, and we look forward to working closely with you throughout the new year.